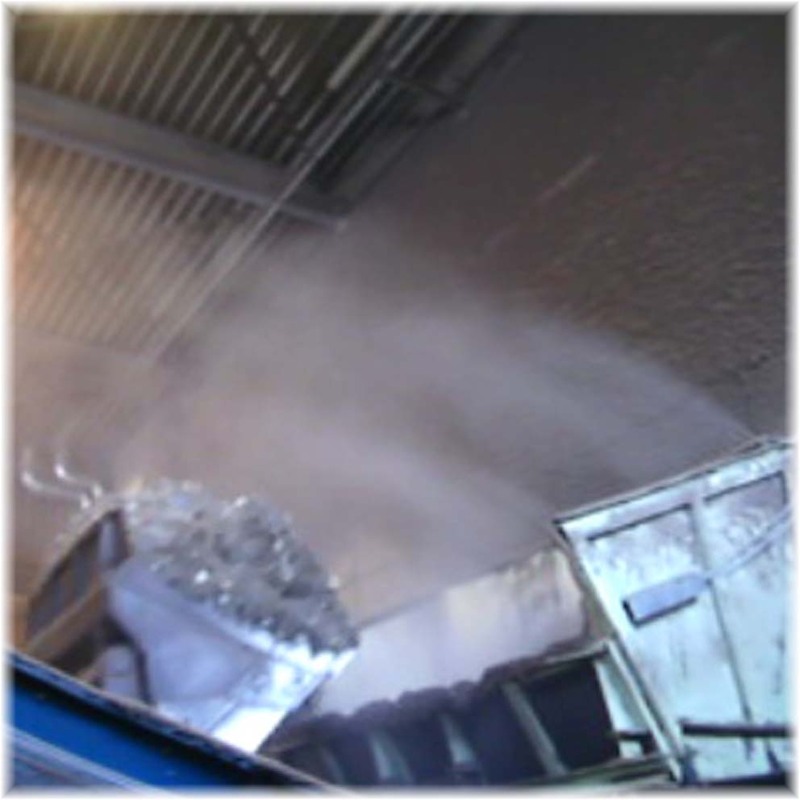 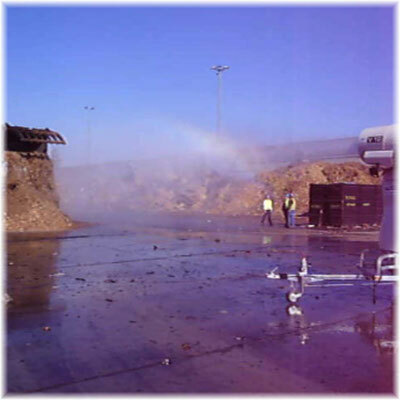 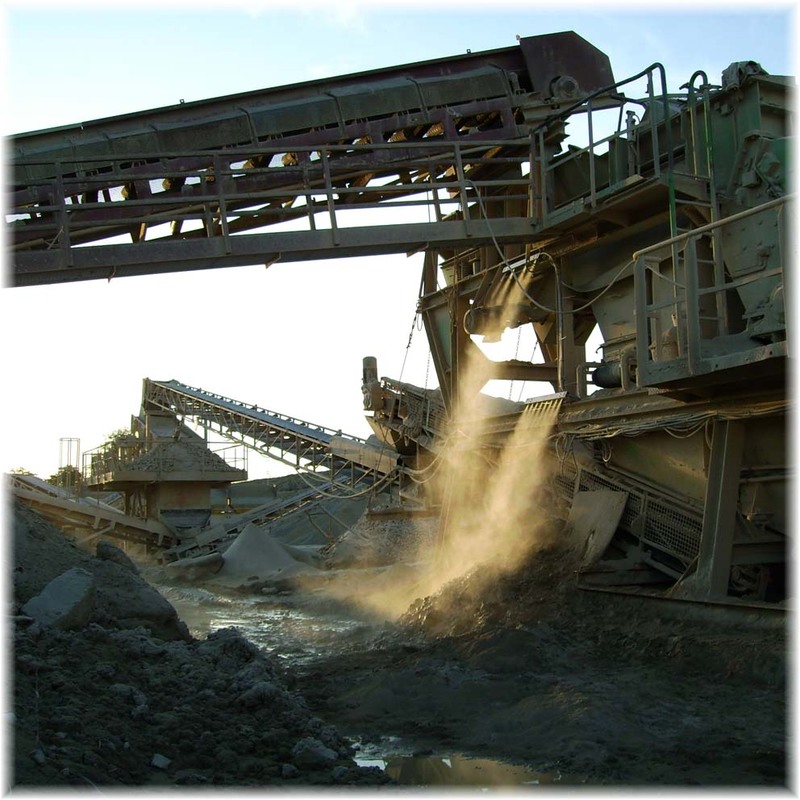 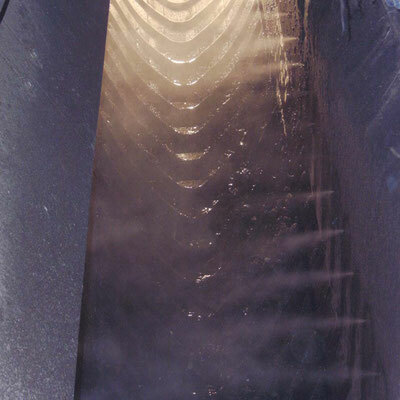 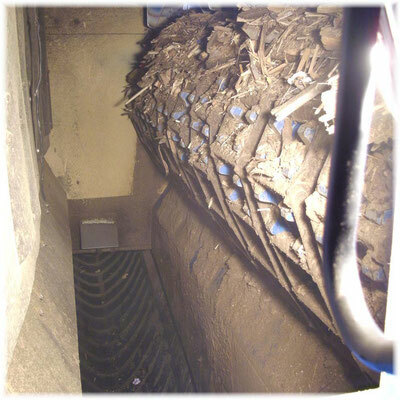 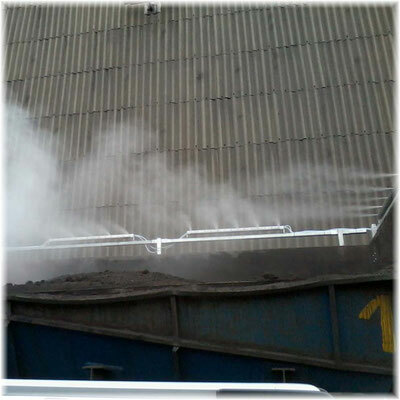 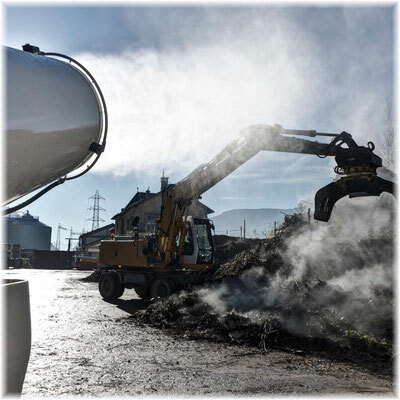 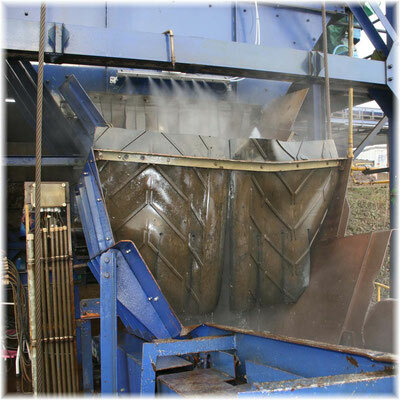 For companies in the field of waste treatment, strong dust and odor development is a serious issue. Residents, clients and legislation are increasingly demanding solutions that effectively combat the problem of dust or odor, thereby sustainably reducing annoyance and health risks. 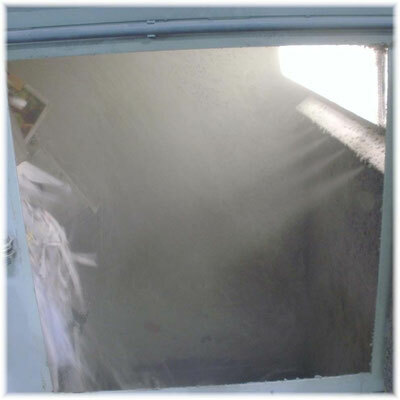 Here, to neutralize the odor, an additional product is introduced by means of a dosing unit. 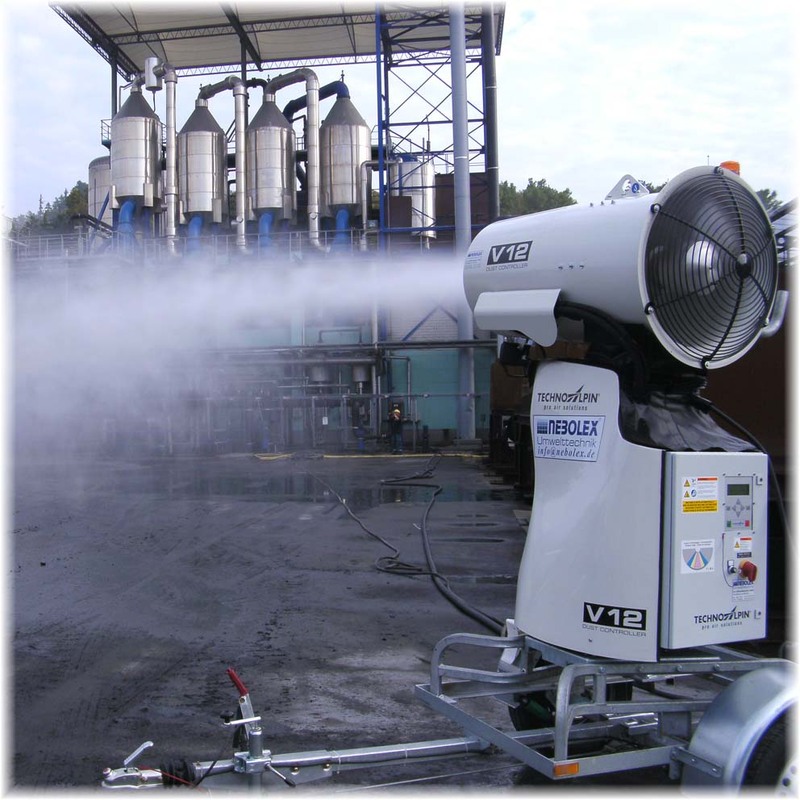 This has a positive effect on the development of odors. 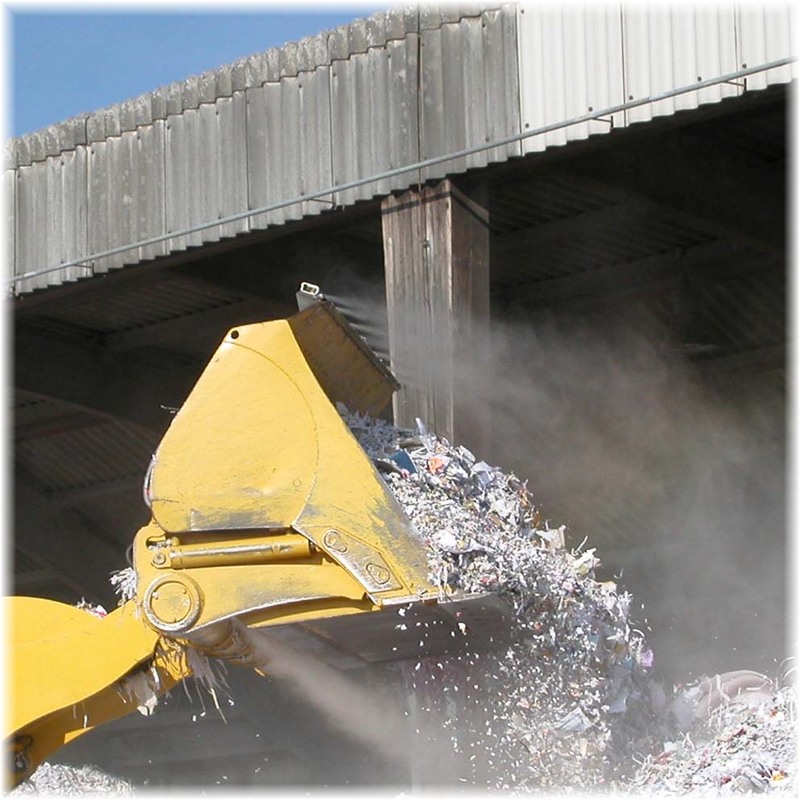 The days when landfills and processing plants were left alone are long gone. The understanding and acceptance of dust and odor on adjacent terrain is limited. 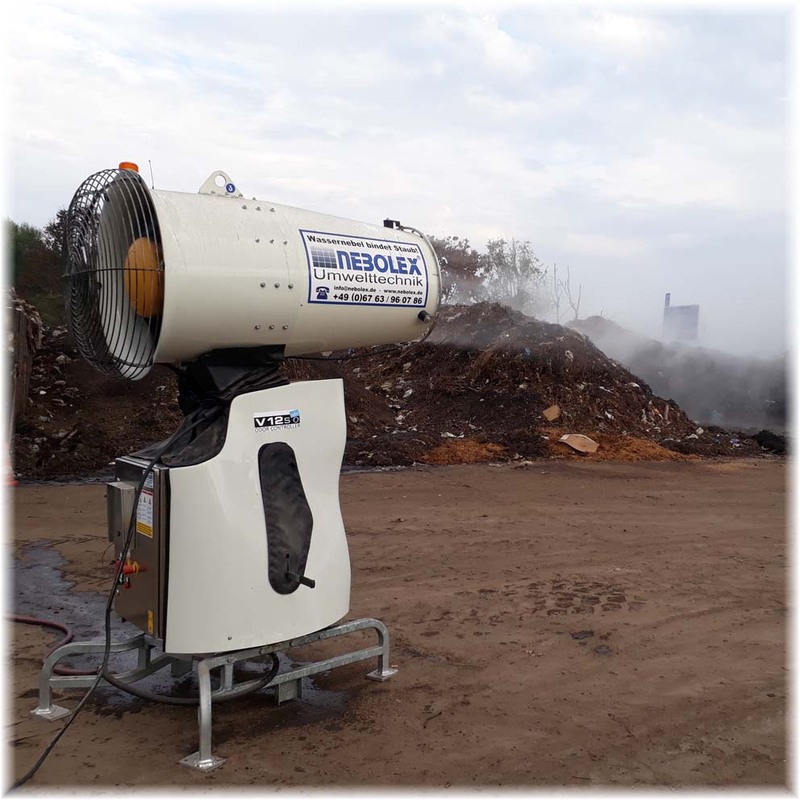 Bad air in the neighborhood can affect daily business. Basically, smell and dust, even fine dust, can only be avoided where it originates! 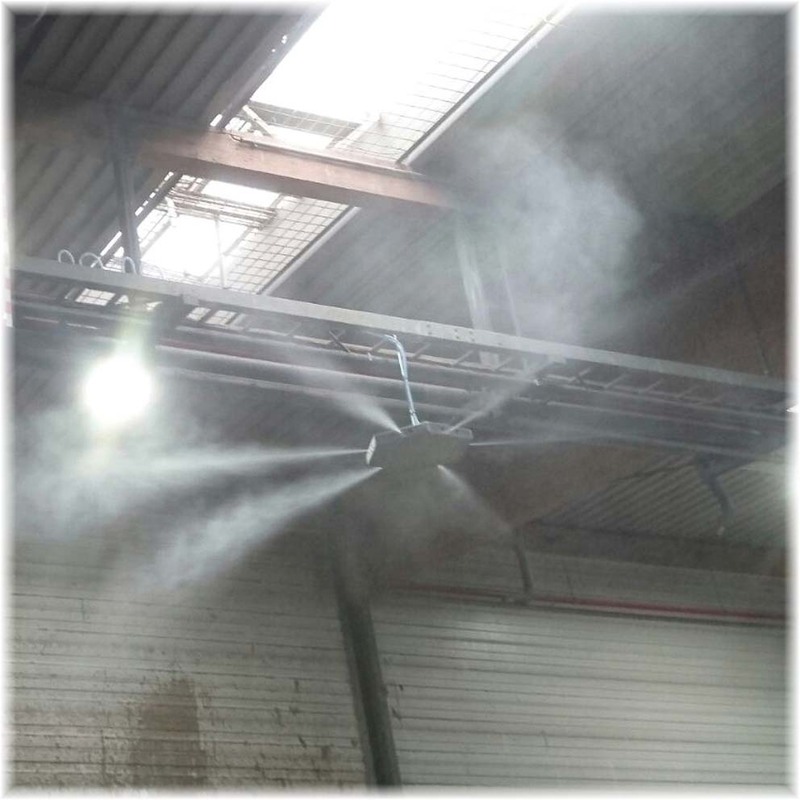 Odor and dust can be effectively combated with water mist! 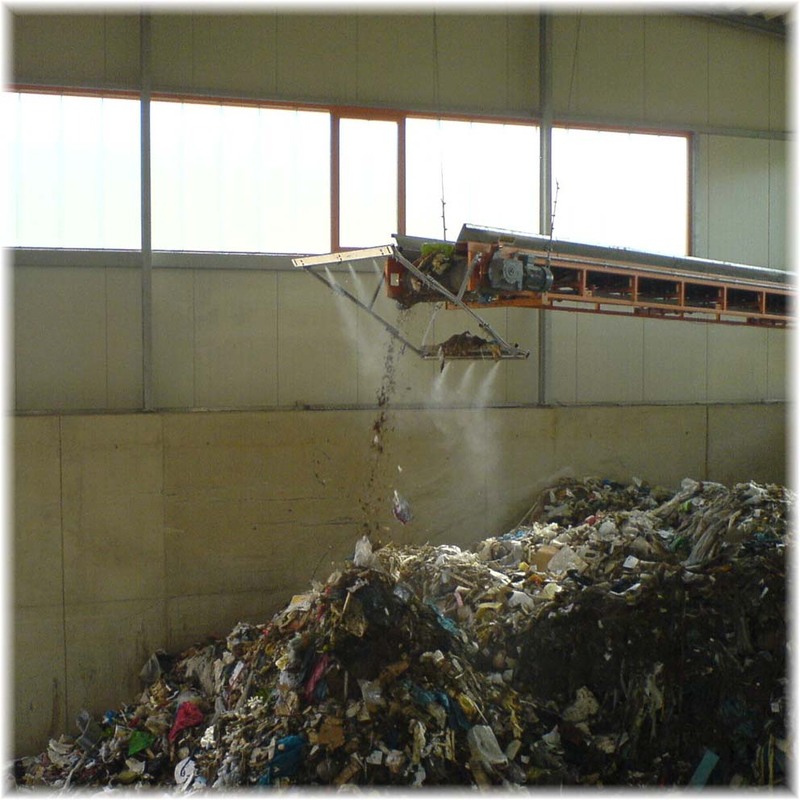 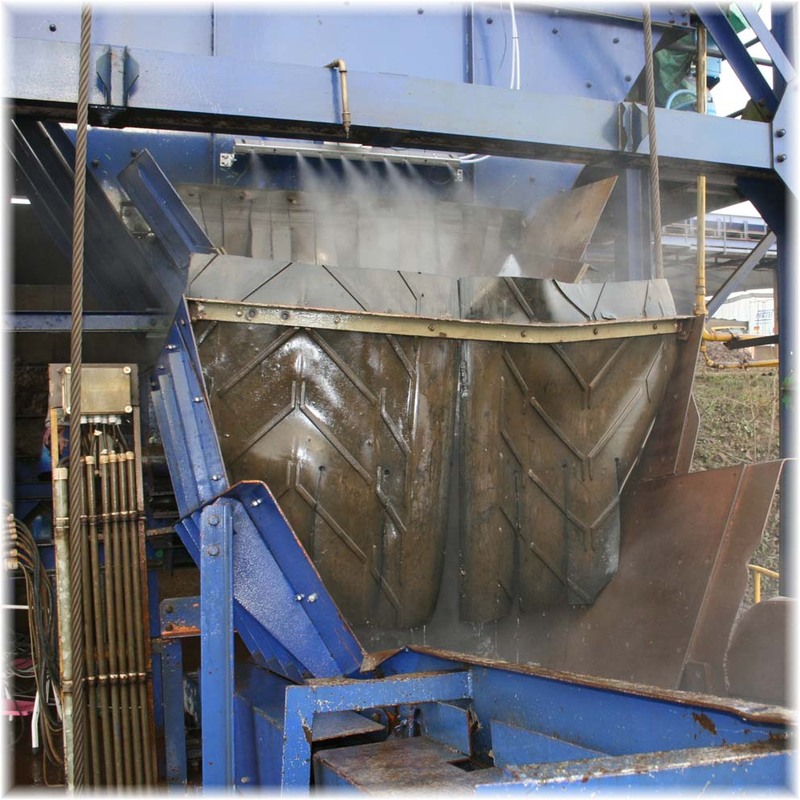 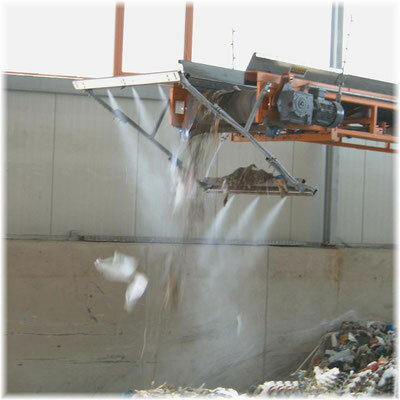 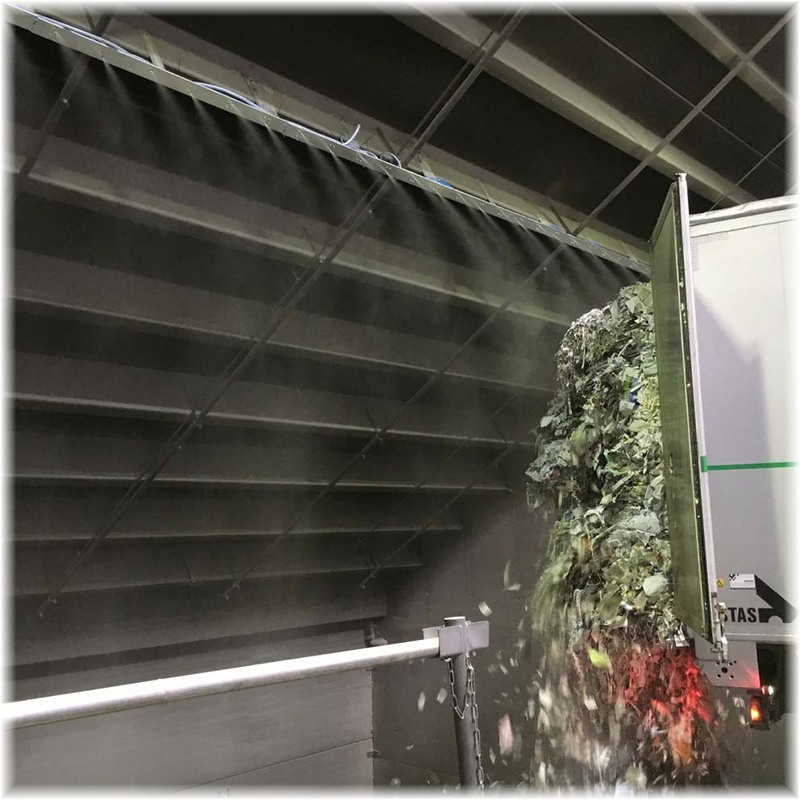 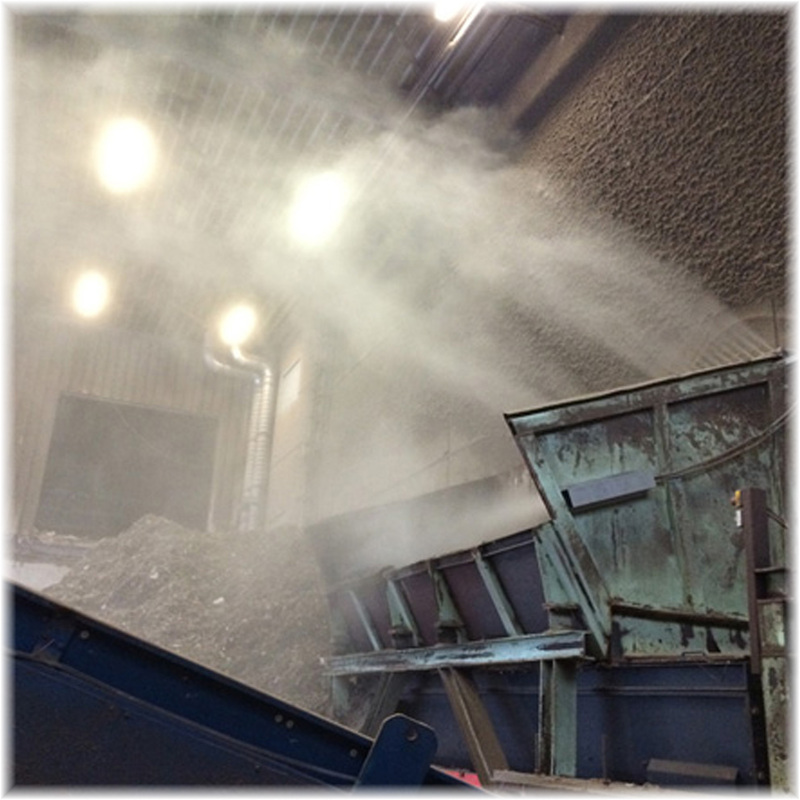 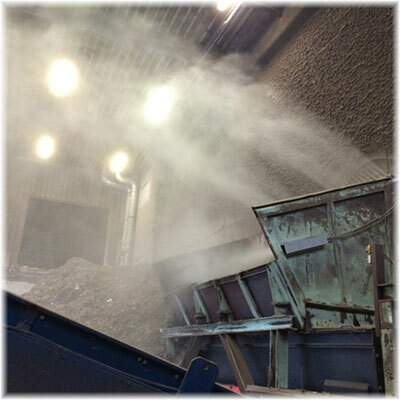 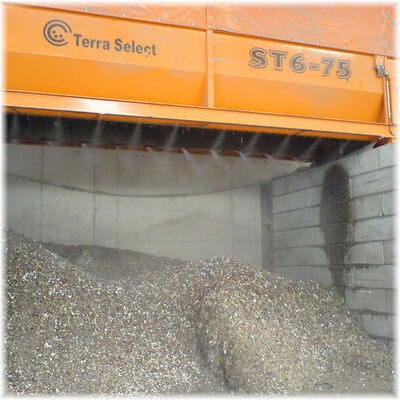 The dustbinders can optimally be integrated into the recycling plant. They are located on a lift, tower or pedestal and easily controlled via radio remote control, wired remote or PC. A meteo station in addition fully automatic operation of the system according to wind direction, temperature and humidity.